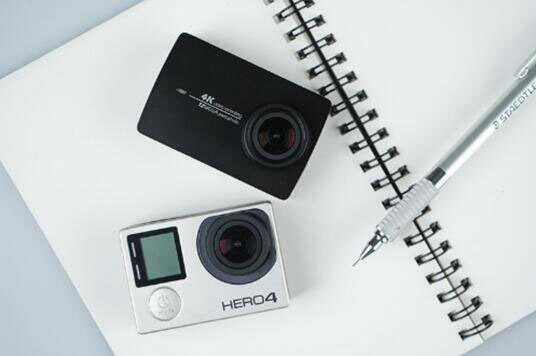 Xiaomi Yi 4K Action Camera looks more interesting than GoPro Hero 4, also it has three different housing variants to choose from — the device is presented in black, white and pink colour. 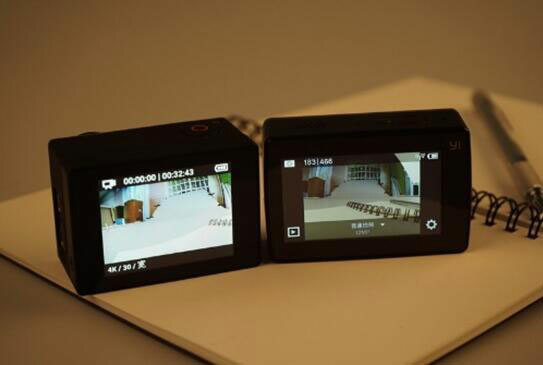 The new Xiaomi camera has a slightly larger size than GoPro, and it is 7 grams heavier — the weight of Yi 4K is 95 g, while the Hero 4 weighs 88 g.
Also, an undeniable advantage of Yi 4K Action Camera is the full-colour display with a diagonal of 2.19 inches at its rear face. 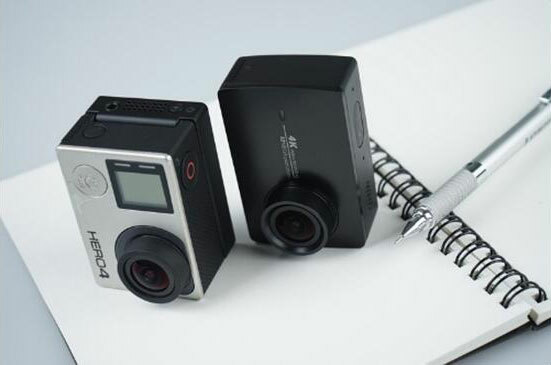 GoPro Hero 4 supports the installation of a removable external display, which is smaller and has a poorer resolution. 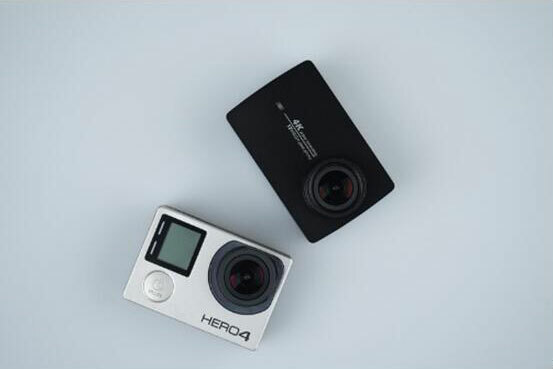 The colour quality of Yi 4K Action Camera is pretty high, while the frames made using GoPro Hero 4 look a bit faded and dull. 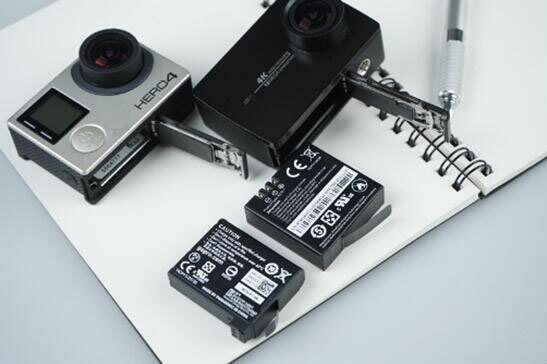 Yi 4K Action Camera is a new word in the world of action cameras because this device is not only able to shoot the 4K video, but also does it qualitatively and continuously. 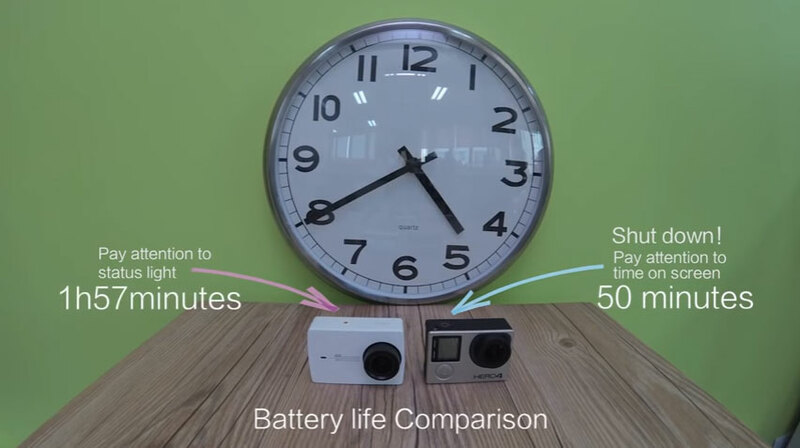 The colours of video, recorded on Yi 4K Action Camera, are bright and vivid, and the duration of continuous 4K video recording on a single charge is about 2 hours. 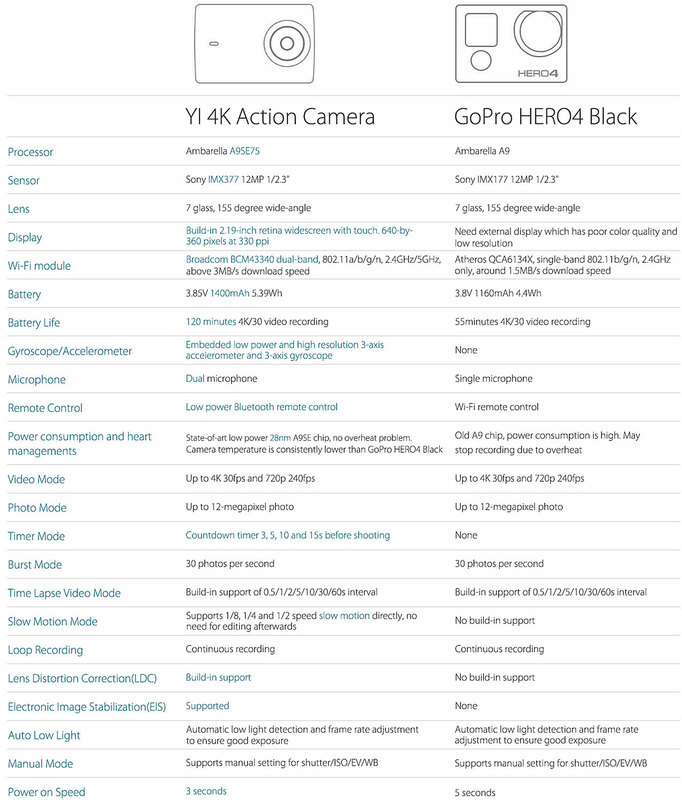 Xiaomi has managed to beat the global brand GoPro in the battle for the sports segment of 4K cameras, since Xiaomi Yi 4K Camera offers more useful features at a lower cost: the high-quality touch screen, a reliable image stabilisation, a record autonomy, as well as many other small bonuses like the connection to Apple and Android smartphones via the Yi Camera application.